You sent them to college with a car and they are grateful. However, although it will make a weekly Publix run easier, no one really thought about the fact that parking at FSU can be pretty inconvenient and tends to be a problem every year. There are not enough spots for as many students live on or drive to campus. For those that do have cars, parking permits, which are valid from August 15 through August 15, are required for all vehicles between the hours of 7:30 am and 4:30 pm, Monday through Friday. If you are in need of a permit go here. You will need your FSUID and password. You can also go to the TAPS office, FSUCard Center at 104 N. Woodward (accessible through the bookstore to get there). You can find more information on parking on campus here. Students will need a VW Parking Permit, which is actually a virtual permit. Students that pay the Transportation Access Fee along with their tuition will receive one permit at no additional charge. This permit allows parking in Student spaces, Faculty/Staff spaces after 4:30PM and on weekends, and Loading Zones for 20 Minutes. Their vehicle must be registered and associated with the virtual permit in order to park in student spaces. Students that are taking classes in a joint program with TCC or FMU will need to purhcase a student parking virtual permit. The cost of permits is prorated based on the month in which it was purchased. See chart here. It sounds simple enough, but somehow students occasionally get in trouble and unpaid parking violations can result in towing, booting and/or the delay of registration for a new semester. Paying, appealing or more information can be found here. They come home late and just want to park near their dorm, so they park in Lot B or C and promise themselves that they will get up early and move the car before 7:30 am. In theory, it is a great idea, because they have so much to do the next day and they can take a nap later. Their intentions are good, but they hit snooze too many times and by the time they get to move the car, the ticket is flapping in the breeze. Note: Do not park your car in reverse without a B Hang-tag. This is not needed for disabled parking spaces. Make sure you download the app FSU Tranz – it is great if your student has a car. Believe me, it helps when students are rushing to class and can’t find a parking spot (I assure you those parking tickets can add up.) This free parking app shows how many spaces are available at that moment in all the on-campus parking garages. It even includes a map with each garage labeled. Students should check the app before heading to campus so they aren’t attempting to use it while driving. At the Woodward Avenue round-a-bout, FSU Valet is a great way to avoid the stress of finding a parking space. Another option is to lease space at the Co-Cathedral of St. Moore. They offer student parking by the semester starting at $260 per semester. Click here for pricing. The Episcopal University Center offers student commuters parking as well (also Gameday Parking). Prices start at $425. Click here for more info. Fellow Parents, when you visit there are options and rules regarding parking for us too. There is a Visitor Parking Lot at the University Center next to the FSU Visitor’s Center. Parking is $1.50 per hour with a max of $7.50 per day. Metered spaces are available throughout campus for $1 an hour. 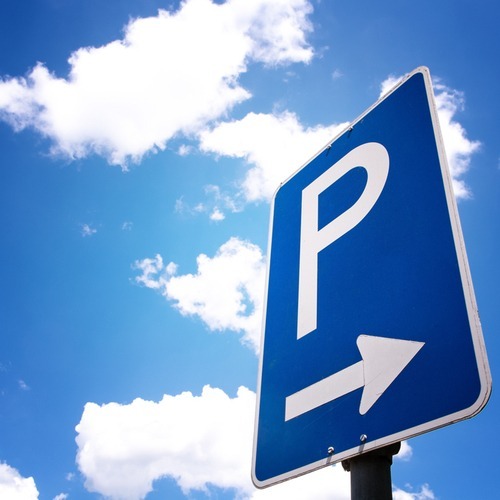 You can also obtain a Visitor Parking Permit from the TAPS office (see above for location). These permits cost $65 per semester or daily for $5 and can be purchased here by creating a guest account. With the lack of parking, you may want to consider using the Seminole Express Bus Service, which runs throughout campus and is free. Event parking differs a bit too. Information on event parking can be found here. It is not uncommon for students who live near the stadium to have to move their car prior to game day. If we have thoroughly confused you, we apologize, but we did start by saying parking tends to be a problem at FSU. Our advice; get a bicycle or check out other transportation options, our new favorite of which being Capitol City Pedicabs, a great option for getting around campus.